Kelvin is a lawyer in private practice and has been on the board of Morning Star for the past 6 years. While in university, Kelvin served on the executive committee of the Catholic Students Society. Kelvin was also formerly on the board of Montfort Care. Gerald graduated with a Bachelor of Arts (Specialized Honours) Economics & Business from York University, Canada. He has a Graduate Diploma in Financial Management, Singapore Institute of Management. 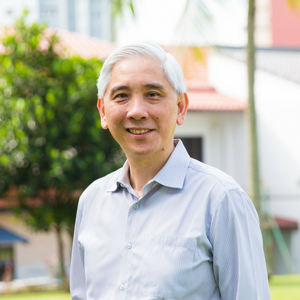 He is a Chartered Accountant (CA Singapore) and a member of Institute of Singapore Chartered Accountants (ISCA) and is also a Fellow Member of the Association of Chartered Certified Accountant (ACCA), United Kingdom. He works full time as a Finance Manager in a petroleum company. Christina has a professional background in consumer and healthcare expertise in the region. She is also trained in workplace productivity and an aspiring life coach with International Coaching Federation (ICF). In her personal time, Christina volunteers in community projects that strengthen the family with a focus on children. She enrolled for the Common Sense Parenting Program ran by Morning Star in 2003 when she was looking to help families build closer parent-child bonding. She continues to serve on the board of Morning Star since April 2004. Jeremy is working as a Director in the People's Association. 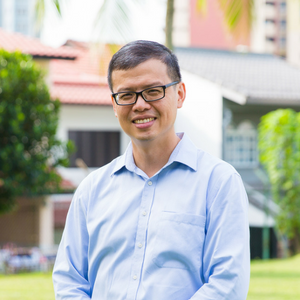 He has worked in the Prime Minister's Office, Ministry of Community Development, Outward Bound Singapore and the National Community Leadership Institute. 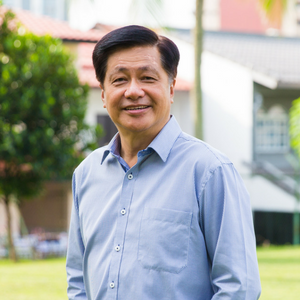 He graduated with a Bachelor of Arts Degree from the National University of Singapore in 1982, majoring in Social Work and Sociology. He also obtained a postgraduate diploma in Training and Management Development (UK), Advanced Certificate in Training and Assessment and a Master of Arts in Education (Human Resource Development) with the George Washington University (USA). Joseph graduated with a Bachelor of Engineering Science in Aerospace Operations from the University of Technology, Sydney. He is the Quality Assurance Manager in an aircraft maintenance company. Joseph has been active in church since his childhood days, and was a member of the Altar Boys Society, Young Christian Workers Movement and Couples for Christ, at different stages of his life. He is currently serving in the Nativity Family Life Ministry and also a Catechist at the Church of the Nativity of the BVM. Joseph started as a volunteer with Morning Star in 2001 and is one of the pioneers that initiated the Morning Star Family Nites community event. Michael holds a double major in Bachelor of Commerce in Human Resource Management and Industrial Relations. He is working as a Senior Estate Manager and is also the President of Housing & Development Board Staff Union. 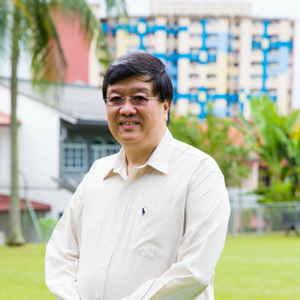 He was awarded Pingat Berkebolehan (The Efficiency Medal) in 2001, Ong Teng Cheong Leadership Institute Outstanding Lecturer Award in 2008 and NTUC Comrade of Labour Award in 2010. 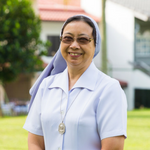 Sister Cecily Pavri is a Canossian Daughter of Charity and currently the community leader of the Sisters at the Canossian Formation House. She also leads the Canossian Charism Formation Team of the Canossian family and co-facilitates the induction of principals and vice-principals posted to Catholic schools. 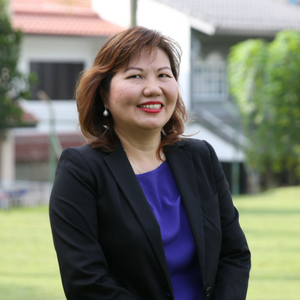 She has a background in education for 35 years as a teacher, principal, school counsellor, university chaplaincy and supervisor of Canossian schools. She graduated from the University of Singapore and Loyola University, Chicago. 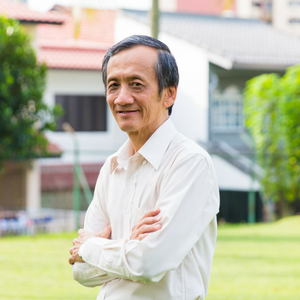 Fr Henry Siew graduated with a Bachelor of Arts in Social Work from the National University of Singapore in 1984. He obtained his PhD in Philosophy from Fujen Catholic University, Taipei. Fr Henry was ordained as a Catholic Priest in 1991 and served as Assistant Priest at Holy Trinity and Star of the Sea Churches from 1991 to 1996. He was Dean of Studies at St Francis Xavier Major Seminary from 2001 to 2004 and then Parish priest of St. Anne until 2007. 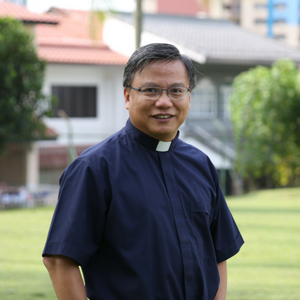 Besides his role as the Spiritual Director of Morning Star since June 2002, he is also the Spiritual Director of the Archdiocesan Commission for Apostolate of Mandarin Speaking.